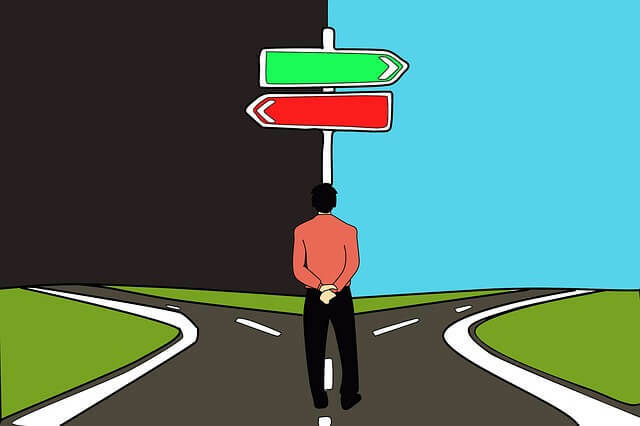 The decision of selection of the IAS Mains Optional is an age-old dilemma for Civil Services aspirants. As per the latest syllabus, the number of optional subjects to be selected is reduced to one, but aspirants are still confused if they make the right choice or not. Though the weigtage of the optional paper is only 500 marks out of 2025 marks as per the latest pattern of UPSC Civil Services exam, it is still a deciding factor in the final ranks due to the unpredictability associated with General Studies Papers (1000 marks GS + 250 marks essay) and Interview (275 marks). How many marks are needed to clear the IAS Exam? If we analyse the question papers and mark-list of the last 5-10 years of UPSC Civil Services Exams, we can collect a lot of interesting and valuable data. The UPSC questions have evolved and now the bias is more towards current related aspects of polity, economy, international relations etc than conventional topics. (Please also keep in mind that there is no guarantee by UPSC that the case will remain the same for future exams!) Due to the high standard of questions and valuation, the marks scored by top candidates is coming down every year. The percentage of top ranks in IAS exam has come down from 58-60% in 3-4 years back to 50%, while the last rank of a successful candidate in the General category is around 40% marks. 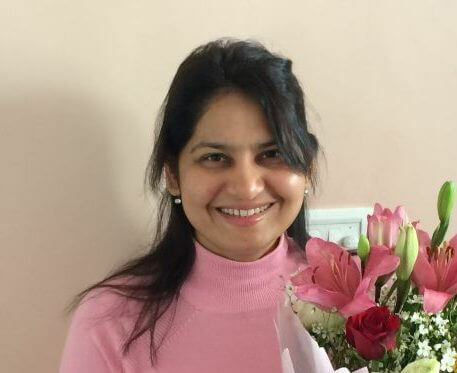 In 2012, only the first rank holder Ms. Haritha V Kumar secured more than 1000/2000 marks in UPSC mains. In 2013, the AIR 1, Gaurav Agrawal scored 769/1750 (44%) during mains stage. Interview marks (206/275), along with marks for optional paper (296/500) ensured his top rank. There is every chance that the same trend of low scoring, tight competition to continue in coming years as well, as the weigtage has shifted towards GS in new UPSC syllabus, which is low scoring (as of now!). It is at this juncture, one cannot take a casual approach regarding the selection of an optional subject for mains. 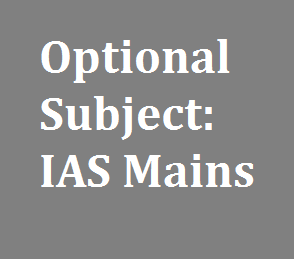 How crucial is the decision of IAS Mains Optional? If you are so strong in all your GS papers with consistent newspaper reading and note making habits, the decision of IAS Mains optional might not play a big difference in your results. But unfortunately very few aspirants fall into the “strong GS” category of students and it’s not easy to get into the club without serious long term preparation. For all others, ClearIAS.com call them “average GS” category, the decision of IAS Mains optional is very crucial. You need to select an optional subject in which you are comfortable to score high in UPSC mains. The level of comfort depends on many factors like the – familiarity of the subject, availability of books and other study materials, availability of faculty, the scope of peer discussion, recent trends of marks, the level of difficulty as per the syllabus and previous question papers etc. If the subject you took for graduation is available in the list of subjects given, in most cases the same option will turn out as a comfortable option. All others (who don’t have an option for optional subject:-)), look for an optional subject which you can finish in a time-bound manner without encroaching the time for GS preparation. Also read: How To Make Sure That You Clear IAS mains? 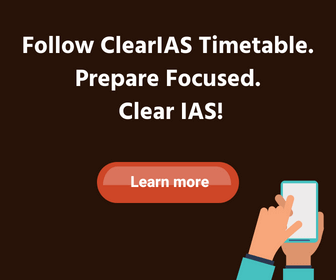 Overlap for the IAS Mains optional subject with General Studies: Is this the right strategy? Selecting an overlapping optional with General Studies is a good strategy, as the time required to study an optional subject not mentioned as per GS syllabus can be saved. This case not universally applicable though. Take the case of Rachat Raj, UPSC 2013 Rank 3, who scored exceptionally well with Zoology optional. There are also many who made it to the top with optional subjects like Medical Science or Law. None of these overlaps with GS syllabus as subjects like History or Geography do. Never take an optional just for the sole reason of GS overlap. Also never take an optional just based on advice from coaching institute gurus. Trust good mentors, but by this age, you are grown up enough to realise the commercial interests behind promoting each optional subject – be it History, Geography, Sociology, Pub Ad, Psychology or anything like that. Please understand that each and every optional subject is scoring. Due to the scaling effects, some optional might not turn high-scoring in some years, but there is no universal trend or theory. You requirement is to score maximum marks for the optional subject as well as in GS. Time available, the effort required and the possibility of maximum marks are three crucial factors to consider before you select the option. Don’t take an overlapping optional if you are weak in it, there is every chance that it can turn counterproductive. A scoring overlapping optional subject, though which might require substantial preparation due to the vast nature of the syllabus can be adopted, if you have – background/ previous exposure in the subject, or if there is adequate time left. If you are running short of time, select an optional paper which requires less time for a decent level of preparation. If 1-2 years is available before the mains exam, a hardworking candidate might be able to finish standard textbooks of almost any optional subject. But compromising GS marks for Optional preparation can also turn suicidal, and hence not advised as per the latest pattern of exam. In IAS exam preparation, certain optional subjects are very popular. Though the number of candidates selecting each optional for IAS mains can vary year to year, the below table gives an average estimate for the coming years based on past year trends of optional subjects (As per latest syllabus). PS: The above chart is just indicative in nature as the trend varies every year. The never ending questions and queries like best optional for IAS, scoring optional, highest success ratio etc queues up every year, but these questions are relative. If you examine the background of toppers in the exam, you will be amazed to see wide representation from almost all optional papers listed by UPSC, and that itself tells half of the story. Please keep in mind that all optional subjects are high scoring if you have knowledge in the subject and if you can answer the questions in an analytical frame of mind in line with the latest requirements of UPSC. The decision of selecting the optional is a personal choice of each aspirant according to his/her strengths and weakness. We get many queries from aspirants to select the right optional for them, but normally we don’t give personal advice regarding optional subject selection. Though we try to reply most emails we get, it’s practically impossible for us to know each aspirant personally. We know these queries are quite normal at the early stage of the preparation and we can understand the anxiety of every aspirant. But only you know your strength, weakness, taste and availability of study materials. We can give broad guidelines, but let the decision be yours. Let this selection of optional subject be part of the decision-making process you will be starting soon in your career. The guidelines and statistics listed above by ClearIAS.com might help you clarify a few of your doubts. Do research and take the best decision. All the best! All subjects are equally scoring. Please take a subject that you are comfortable with. Literature of any Indian language is compulsory? I’m confuse what to take for opt subject. Interested in history but they said pol.sc occupied more mark in GS paper. Can you help me pliz? i have completed graduation on BA in Tourism Studies. What optional subject should i choose? It really comes down to personal preference choose an optional that you know you can study over and over again all optionals are equally scoring if you have any interest in a particular subject then go for it but at the same time think about the scoring probability that means the ratio of students giving their exam in the same subject if the ratio is high try choosing another optional you like. IF U ARE UNABLE TO UNDERSTAND THE SCHEME OF EXAMINATION, KINDLY DROP UR IDEA OF APPEARING IN THIS EXAM. Rude but he needs this.. Yes u can take it without any confusion .Biggest mistake in the world is that we get attached to particular thing and just think that our life is limited and just revolved around that but I think there is no limit for your power and knowledge orbits. You can take any optional just make it with highest concentration. Can I take maths or chemistry.??? I am bit confused about starting preparation for CSE Mains. I have 1.3 years time. Could you please suggest me what time is best to start preparation for Mains exam? The best option will be zoology. Kindly let me know that can i take political science and public administration for upsc mains as optional papers. Hi, I have done my graduation and msc in Mathematics. I am not bad in this subject. But it does not contribute in GS preparation. So I am confused with Public administration and Mathematics for choosing the optional paper. Can anyone help me here? if u r well versed in the said subject , u can choose it as an optional as well . But if u hv to study this subject throughly but it cant help u out to prepere the gs paper . However, it would be more scoring comparatively the others one. i think it is better to you to choose mathematics as a optional subject.because you have four experience with the mathematics..so you can easily get through it. if you choose public administration, you have to spend a lot of time to become an intellectual in that…. I’m also a student of mathematics..bt I’m taking pol science as a optional…. i m getting confused in selecting my optional subjects..either history or public administration..teachers suggest to take history as an optional as it is safe optional than when compared to pub ad.. can u pls help me to come out of this dilemma..
Sir……i have a great deal of interest in political science and International relations as well. But i am not too sure of IR study material. It is a very dynamic topic and current affairs based. i just want to know if this can be a scoring subject as well since i am preparing for next years Civil Services exam. hi, i’ve studies mba in finance(major) and marketing(minor) and i want to prepare for ias (civil services) which optional subjects do i select? please guide me..
i am a medical student.which subject is better for me?geography or anthropology? Hi, I’m a Post Graduate of English Literature. So I want to choose the same as optional subject for IAS preparation. But is it possible to choose the subject for both the optional papers 1 & 2…??? hiiii…………..moi class 10 or student..bt i hav no idea abut the optinl subjt…..bt i knw upsc exam neds hard work……i want 2 trnsfixd my foundstn from pre 2 mains exam……..i fousd on preparing notes……bt jd moi atiar pora indian polity m lxmikant,hstry of modrn india by bpn chndra….indian economics ramesh singh….indias strgl 4 indpndnd ,histry of modrn india etc clss 12 loike cmplt kru moi pre exam apering korebo parem nki ? plz hlp me……moi cls 8 pora curnt afirs evryday notes koresu frm newspaper THE HINDU..bt now moi karu suprort pua nai ni j mk aru books lgbo ne ? plz mention korebo ?? I am a constable in andhra pradesh state… basically i am a Telugu medium student…. i have a strong desire to become an IAS officer…. can i write mains in Telugu language ? is it possible …. The second case – 1 subject but 2 papers. hello I am aadil nesar from tata nagar and my question is that what subject should i take in 11 std to clear ias. Respected clearias.com.. I have completed my graduation in computer science engineering. And I am getting confused in selecting my optional subject..
sir,, i am confused in choosing subject for upsc mains,,i like two subjects ,history and philosophy,,i want to go with history but my friends are telling me not to take this,,because it is lengthy,,sir is it true?? I m an engineering student, I m confused in choosing optional subject as mechanical engineering or physics. I m a mechanical engineer. I am electronics engineering student. I want to choose mathematics or electrical engineering as my optional subject in English language. Then should I change my medium of language for GS papers as Marathi. If not which is better optional. Can we write IAS exam in any of the indian languages?plz reply me. im preparing for civilservice exams for the past 1 year . im doing mba in distance education. can i choose management optional. previously i was with geography optional. since many candidates appear for geography the variety of answers that i can give will be limited. i need some suggestions, whether i can go with geography or change to management . Respected sir/madam, i have comleted bsc mathematics…. Can i choose any arts subject like- sociology. Because i have interest in sociology…. Plz tell me…. sir,I have completed bsc in mathematics but I have interested in subject like geography or history so can I take geography in Marathi laungauge as an optional subject, please tell me .. I have a doubt about optional paper. whether we have to write both paper I and paper II in One optional subject chosen ???? BT it doesn’t cope up wid GS and m lacking GS..
Hi Sir , my name is Gautam Kumar i just completed the B.Tech in 2015 , i confused to choose the optional paper but i keep interest in history and maths . please help me to choose the best optional paper. Hey. I Just Need To Know Whether I’ve To Select Two Optional Subjects In I.A.S. Mains. Or One Optional Subject With Two Papers? I am in ba first year …..I am confused how to start the preparation….is it essential to have coaching inst notes for proper start?? Major -geology and minor chemistry and geography. Under RUSA system . Am i eligible to apply for UPSC exam. @Dnyan: At present, there is only 1 optional subject. I have dec 2016 mains attempt due.i have yet to choose the optional subject..which of the optional subjects can be prepared in least time..i am thinking to choose economics and i am having no background in economics..if i choose so will i be able to prepare the syllabus in such short time span and which book should be referred.. I completed my 12th std in the academic year 2015-2016.I am an IAS aspirant.Thus I would like to pursue my bachler degree that would help me to clear civil service examination.I took physics,chemistry,maths in my 12th std.Is it worth to take BA economics as my bachler degree? (I hope economics will help me in taking optional subject). I am student of Engineering in Computer science Engineering. What will my optional subject in civil services .I am intrested in arts what will i do to choose a subject. Can i take a political science &public administration in it. What will my main subject. Pls suggest me attempt first time so confused. am a pharmacy student & plz can u tel me wch optional subject ll help me 2 crack civil service xam? Am gonna do graduation in Arts stream… but am not able to decide the subject that would be compatible with ias … anthropology or archaeology … have equal interest in both. Urgent ques sir…… immediate reply expected. Hi, i did my b.tech in Chemical engineering. I have already taken up sociology as my option and started preparing for it. but after a month , when i saw the chemistry question paper and syllabus, i see a lot of topics that i am well conversed with. And also considering the amount of time i am required to give to sociology (a lot) , i am confused. As now i look at the topics of chemistry, i find them more scoring (wrt if you write the right answer, you get good marks) but in sociology, figuring out what the right / good answer is, itself confusing. Now i am confused to, what option should i go for, chemistry or sociology. I am MBA in marketing and opted management as optional subject but I am afraid of seeing its long syllabus specially Paper II so I want to know can i change the optional subject now. You may re-apply after checking with UPSC office. I done MBA Hr & Marketing and personally i am interest Arts subjects which is good optional in civils mains pls let me know which is good in these1 Telugu literature 2 Agriculture 3 History 4 Sociology. I was studying B.Sc(N)final year.i want to know the papers in mains and also the list of optionals.could you help me? will psychology be a good choice for ias optional exam? i m in 1st year of bsc phy(H).i want to prepapre for ias exam.so for optional subject how is physics? Is this paper contain numerical based question or like we have in boards? I am Completing Bcom, i am thinking to focus on ias preparation after graduate,but my family members and relatives r suggesting me to do higher graduation, how Is it necessary to be have a backup? And how can i focus on both! can i choose hindi as my main subject .and if i m graduate from hindi hons. should i eligible for IAS exam. Sir, I did graduation in bsc(m). I want to take one year for preparation for upsc exam but I am confused to take optional subject.Can you please suggest whether I take one of science subject or another subject. Should we choose a subject which is easy or which we are interested in..?? can a engineering graduate take literature as an optional ?? I have the same doubt. Did you get any infor? Is it advisable to do MA in sociology from IGNOU for preparation of CS optional paper or shouod I prepare it without doing PG ? I am an Engineerinh graduate fresher..
Sir i m upsc aspirant , i dont have any specific interest in any subject for optional …. i only want a subject having – small syllabus +easy to grasp+ high marking????? & also suggest that should i start preparing for optional or should i wait for baswan committee report whether option is removed or not????? Sir, I have completed my B.Sc. with botany hnrs but i don’t want to choose it as my optional subject as the UPSC syllabus for botany is vast and there are many more things that i really don’t know.So my question is can i choose any other subject as my optional with which i’m comfortable? ?plz reply me sir . I am a student of B.Sc 1st sem..botany major… which subject is good for IAS examination as optional or main..can you suggest me?? sir, optional subject paper me 1 subject choose karna hoga or 2 subject plz give me example. I am an engineering student preparing for civil services exam. I want to go for HISTORY as my optional subject considering the fact that my GS paper (history part) will automatically be covered. Will this strategy be fruitful? your 1st choice shud b- pub. add. 2nd shud b- geo. & 3rd shud b- socio. all other subjects r very dangerous. note- it shud b totally depend upon your interest. Myself Majid Khan ,i’m master of five subjects i.e., M.sc Chemistry with specialisation in Physical Che. M.sc Clinical Psychology,LL.B and LL.M(Spl.Criminal) ,M.A English Literature and M.A Philosophy and Post Graduate Diploma in Human Rights and other various diplomas i had done.But i’m still confused in Selecting of Optional paper for CSE,because choosing of right optional subject is half done in CSE.So,i’m need of your valuable advice as well as ur priceless suggestions. I’m agriculture graduate . I have confusion in choosing optional subject agri or geography.which will help me most .arranging materials is not a problem for me . any one can help me ? Can any one tell me what is the basics in anthropology ,who have taken the coaching. i m electronics and communication engineer.should i go for electrical as an optional for mains …as most of the syllabus of electrical and electronics engineering are same ? because if I go with any other subject that will be completely new one for me. So Tell Me What Subject Is Prefer Me To Attend IAS Exam…. 1. Opt subject must be in ur graduation ? Im a B.Tech(Comp. Sci) student , which optional subject would be best for me? and when shall i start preparing as im in my 6th semester right now which is going to come to and end. i am working as a staff nurse for last 9 years, i had done my bsc in chemistry, zoology and botany 9 years back. now my husband (civil engineer by profession) have motivated me to prepare for civil services and we both are confused about the subject we should opt for as all the subjects are fresh for me. however my husband have promised to help me with all his efforts and we have sorted out to the problem of choosing an optional to three subjects i.e public administration, geography or economy. may you please suggest us which optional would be best for us to prepare for this exam with our job. I have pursued my degree in physics, and now I’m confuse to choose physics as an optional. Please tell me which one will be better.physics or geo, scoring and easy. Basically am telugu medium back ground student….. I am a Chemistry Hons graduate, but people says it will be too hard for civil service main exam. What should I do???? I am 27 with IT background… Hv done MCA but now I want to take a chance with upsc . Is it a good approach and if yes … Wht optional subs should I choose.. ?? I am IT engineering student and I am confused which subject should I take as optional? Also I want to know that Will Geography,law, PA and management will be tough ? Greetings sir, i am Abhijit k. Basantaray and i am preparing for cse-2018. I am a forestry student but forestry is not there as optional in ias, so i am planning to choose Botany as my optional subject as it has similarities with forestry and also i am a bit familiar with almost all parts of upsc Botany syllabus. sir, i want to know if i should opt for a subject common to GS for example- geography in order to prepare well or go with Botany. Which subject will fetch more marks? sir i have passed my 12th from non medical side. i want to prepare for the upsc exam. so which subject is better as optional for me? ?i have interest in pol science,sociology and psychology. i have to change my field from science to arts is it all right to change plz suggest. Sir, I am studying in btech dairy technology,then which subject should I take in optional for ias mains exam.now I am in btech first year. sir I am a post graduate in Philosophy.. and I wanna to choose it as my optional paper in mains .. is it a scoring one ? can I score a good level … ? Hello sir I am studying biotechnology. I wanna choose optional subject for UPSC. Which subject should I choose? Really confused. My frds saying history or economic is good to study for UPSC. Can Hindi Literature be taken as optional subject while medium choosen is English? I have left my study after graduation bcz of a job. bt now i want to go forward. its 2 year that i don’t study well in any subject. physics and math my graduation subject bt not strong enough today. I am 22 now…please suggest optional subjcts as well as preparation path. It is not mandatory to take optional from maths or physics. That doesn’t matter how long you have gap with your study. Or dont ask anybody regarding your subject selection. Do you own interesting ……. Ok n thanks for giving me some valuable time. I have completed my pg(m.com) and I am best in management will it b preferable to choose public administration or commerce plzz tell what to do,will wait for your reply. if i choose litarature subject telugu then can i leave other optional subjects right? no need to other optional subjects? i can only prepare telugu litarature paper 1 and paper 2? i want to know ,how many optional subject is required for mains.Coz maine check kiya hai ki as per 2018 syllabus only one subject is optional but syllabus pe paper 6 and 7 both r optional subect diya gaya hai. I m in economics first year or history pe b interest hai .plz suggest which one subject is best if only one subject is optional,if 2 subject is optional then which 2 subject is best. I have completed my BE in electronics and communication and now taking ias exam in kannada medium and I take as electrical and agriculture as optional which text I refered sir..what type of preparations needed please help me sir.. In optionals second. Paper I choose Telugu my doubt is do iread syllabus of Telugu paper2 or1? i have done my b.tech. from electrical engineering but i want to take geography as my optional subject what should i study before joining any institute. or if i choose socialogy which book to study to strengthen my base. I have done my MBA form Human Resores management. Please suggest me which optional subject will be beetroot form me. Can someone please explain how this works. I’m really confused. Like what all exams are we supposed to give?? Sir, am a student of PCB and want to prepare for upsc but my problem is which subject would be better for me. As, am interested in political science but someone told me geography would be a better choice.So, am very confused, which would be better for me. my son is B.Tech in mechanical engineering, so can u suggest whether he should go through his subject or choose another subject for civil services exam. sir i am a b.tech computer science graduate and i am confused to choose my optional subject.sir please resolve my problem. I am new to UPSC, frankly speaking I don’t have any idea which optional subject to choose. I am software engineer having 6 years of experience, so you can understand that I have to start preparing form zero for optional subject. Please guide me which subject to choose. Sir I am from IIT V. I am interested in mathematics but in syllabus of mathematical contains some part of physics also that hurt me because I am weak in physics. Can you help me or can you recommend for options subject that is adopted by IIT people. Sir I have completed my graduation (Btech)last year under ece stream..can you kindly suggest me which will be best optional subject for upsc exam regardless of my stream ..
sir i am a b.tech computer science graduate and i am confused to choose my optional subject.sir please guide me regarding this. Sir , what is optional subject with code 39 for mains in 2013? Please help me sir. Sir i want to prepare IAS. I am a student of Science math then may will i be IAS? I completed my B.E(electrical), in a big dilema of choosing optional.. can i opt for anthropology!!?? Im an E&tc engineering student wht can be the best optional subject for me. i have done b.com , m.com what should be my optional for upsc ?????? iam a bcom graduate. why would be the best optional subject to me? I have completed my graduation on BA (Pass). can i option for Literature Subject in Bengali? Sir , I am Bcom(ABST hons) and MA(political science) holder. Which subject I should choose an optional paperfor IAS Mains . Please suggest me. Sir I am an agriculture student. Which optional subject will be best for me? mujjy optional k liy language choose krn mei bhot problem arhi hai. please confirm kriy ki, Optional subject mei Hindi mei likh skhti hu kya or baki GS k subjects English mei? and Sir Essay k liy bhi alg se choose krna pdti hai language ? Sir please is query ka answer de dijy bhot important hai, next month form fill krna hai please …. I am a B.Sc Computer Science graduate but I am very good with Electrical Engg topics. Can I choose EE as my optional? Are there any restrictions?